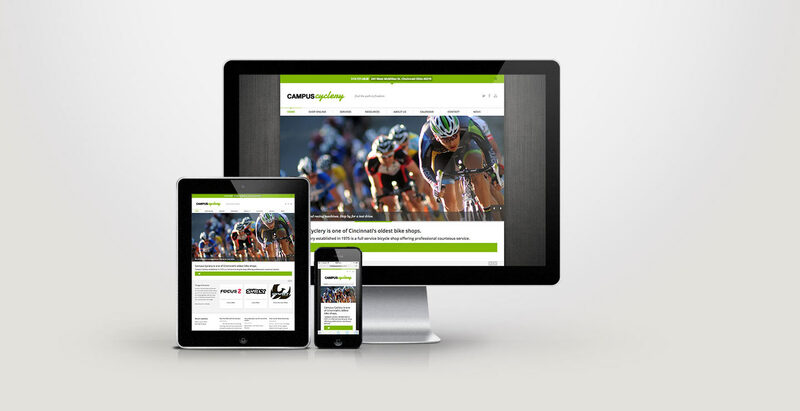 A responsive website design built for Campus Cyclery, Cincinnati’s oldest bike shop. We wrapped the new website around their existing e-commerce solution. We also created a new Campus Cyclery logo for all of their marketing needs. The website had to meet Campus Cyclery’s functional and aesthetic requirements. Our designer and developers created a WordPress website so that they could easily update all of their web site content.